Locks are about security, and to be a locksmith expert, you need to know all about security, and how to integrate security features into a home or office. 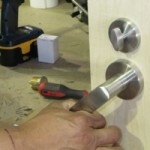 FC Locksmith is also the peephole installation expert – installing peepholes for homes and offices all over the area. 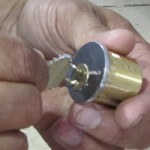 Locks are designed to keep unwanted visitors from entering your home. But if you can’t see who is on the other side of your door, all an intruder has to do is knock as though you were old friends, and you would be forced to undo your latches and give them an opportunity to enter your home. Peepholes allow you to quietly see who or what is going on outside of your door before you undo the locks and let down your security. It’s the simplest way to add a considerable amount of safety to your home, giving you the opportunity to discreetly screen anyone that comes to your door. FC Locksmith has been installing peepholes for years, and our friendly service staff knows exactly how to install the right peephole to every type of door, giving you the opportunity to add to your security and keep your home safe. Call us today to learn more about our rates and schedule an appointment. Our customer support staff is ready to take your call.